Apple sold 4.7 million wearables in the second quarter of this year, according to market-research firm IDC. That’s up 38.4 percent from the same quarter a year ago. The maker of the Apple Watch has 17 percent of the world wearables market. It’s also at forefront of a larger trend in Q2 and this whole year. “Two key forces were at work during the quarter: stronger demand for smart wearables, and slower declines in the basic wearables market,” said Ramon T. Llamas, research director for IDC’s Wearables team. “Users have come to want more from their wearable devices, and smart watches have met that demand. When only smartwatches are counted, Fitbit holds second place behind Apple. But when all types of wearables are added to the mix, Xiaomi takes that title. And it’s actually close behind, with 15.1 percent of the global market. Its Q2 shipments were up 19.8 percent year-over-year. IDC says that Xiaomi “successfully diversified its product portfolio to include shoes, kid’s watches, and multiple variants of the Mi Band.” A majority of sales are in China, but it’s expanding to Europe and the Middle East. Fitbit held third place in the wearables market, but Q2 was a rough time. Shipments declined 20.7 percent, and it had just 9.5 percent of the global market. That’s because the company built its business on fitness trackers, while smartwatches are taking off. Still, the Fitbit Versa has done well enough to make the company as the second largest smartwatch maker. IDC estimates it shipped 1.1 million Version units in Q2, out of a 2.7 million total for the company. Huawei shipments grew 118.1 percent over the same quarter of last year. but it still has only 6.5 percent of the world market. Most of its sales are in China. Garmin sold enough wearables to supplant Samsung last quarter. It had a meager 5.3 percent of the wearables market, however. 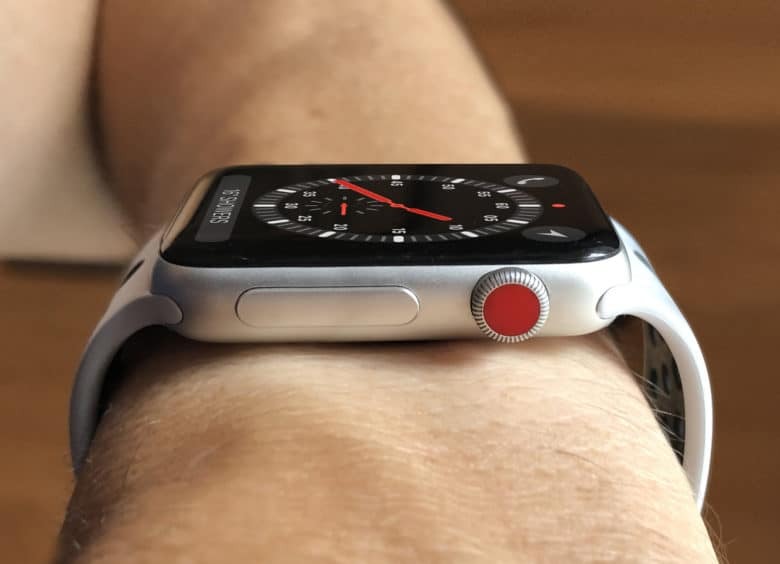 The debut of Apple Watch Series 4 is anticipated soon. Possibly next week. This device, which supposedly will have a larger display, could widen Apple’s lead in the wearable market. And Samsung has a new smartwatch in the offing. This might help move it up in future rankings.